This is a continuation of my previous post on what it costs to RV full-time. In my last post, I shared my budgeting list and began to break down that list by sharing costs and additional information to consider for living a nomadic life. By keeping track of our expenses, I’m able to see exactly what it costs us to travel and live full-time in the RV. It allows me to compare living a minimalist mobile lifestyle to that of our former life in a sticks and bricks dwelling. RV and vehicle maintenance and repairs – With so many diverse RV’s (recreational vehicle) on the market, it’s impossible to generalize this expenditure. So much depends on the type of equipment chosen and its age. 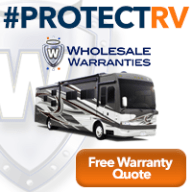 It’s also one of the most important things to consider when shopping for a RV. Sure, you might be able to afford the RV, BUT can you afford to maintain and repair it? Larger RVs cost more in every way. So if you have a smaller budget, buying a smaller RV will set you up for success and be less stressful over the long term. Also the more expensive the RV, the more complex it is to work on. A simpler RV will allow any semi-handy person to save money by doing their own repairs. The most expensive option is a Diesel Motorhome with a towed (toad) vehicle. Not only is a diesel motorhome the most expensive RV to buy, it’s also the most expensive to maintain and repair. Annual service (oil change, filters, etc.) on the motorhome can cost upwards of a $1,000 annually. New tires can cost well over $4,000. For comparison sake, new tires on a travel trailer or 5th wheel might average around $700 and normal service for a diesel pick-up truck can average around $300 annually (depending on how much you travel and frequency of oil changes). That’s a big difference to consider if budget is important to you. The least expensive option is a gas vehicle pulling a travel trailer. The smaller the trailer, the more options you’ll have for a tow vehicle. We’ve seen travel trailers being pulled by a variety of vehicles … everything from a basic pick-up truck to a van to a SUV and even a 4×4 Jeep. The simpler the equipment, the more economical the maintenance and repairs. Expenses are somewhere in the middle for a gas motorhome with a toad (towed car) or a diesel pick-up truck pulling a 5th wheel or travel trailer. These are very popular options. We’re definitely happy with our set up and most years our maintenance and repair costs are minimal. In 2016 we spent $710 on our 2005 F-250 which included two new batteries, and $40 on our Fifth Wheel RV. Not too bad! 2017 wasn’t as kind on our budget. Our truck needed new injectors, repairs from damage incurred by a pack rat, and a few other major things. So along with normal maintenance added to the major repairs, we spent $5,100 on our truck. The RV – in ’17 we replaced most of the window treatments and repaired a few other items totaling $450 for the year on the 5th Wheel. Note: Always have an emergency fund and be prepared for breakdowns. Repairs and maintenance are part of the RVing lifestyle regardless of the RV and its age. RV and vehicle insurance and registrations – These fees vary significantly based on equipment and your home state (domicile). Some states charge a flat rate for licensing while other states charge based on value. The same holds true for insurance rates. Where you live (domicile) and what you drive will be the deciding factor on costs. Another cost that might need to be added here is a payment. I guess if you’re hitting the road with a full-time location independent job, a RV payment is a mere replacement of a mortgage payment and interest might even be tax-deductible (check with a professional tax specialist). Personally, I couldn’t fathom enjoying this adventurous RV life with the stress of debt hanging over my head. New RV’s depreciate rapidly (poor investment, and yeah, we bought new, but paid cash) and there are so many good quality older RVs which provide a good bang for the buck. Chances are even if you do buy a brand new RV, you’ll still do some remodeling. There’s a big difference between using a RV for vacations versus moving into one full-time. When you live in a RV full-time, it becomes your home, and as such you’ll want to personalize it. So if you can’t afford to pay cash for a new RV, consider buying used, maybe even a fixer upper and tap into your inner Joanna and Chip creativity. Mail service and domicile – There are so many factors to consider when choosing a domicile. In the U.S. we all have to have a legal residence for the purposes of a driver’s license, registering our vehicles, healthcare, voting, homeland security, etc. The domicile you choose will have a significant impact on your budget as well as your healthcare. The three most popular states for domicile for full-time RVing are; Texas, South Dakota, and Florida. All three states do not have a state income tax making them desirable. South Dakota is falling out of favor with a lack of health insurance options for those under the age of 65. When Al and I were transitioning into full-time RVing, we set up a Texas address with the Escapees RV Club. However, I soon realized that in order to keep my health insurance, we needed to keep a Colorado address. This is when family in Colorado stepped up and we used them for our mail service and domicile for the first two years on the road. We are forever grateful to my brother and sister-in-law for helping us out. We’re now based in Arizona, and never did use that Texas address. Note: I am not an attorney, CPA, or any other professional, and acknowledge I may not know what I’m talking about 🤪 Therefore, do your homework before making any decisions on domicile. There are legal consequences to consider. My personal advice would be figure out your healthcare needs first. Most insurance companies, medicare, and the VA, require elective procedures be preformed in your home state (domicile). So let’s say you need knee surgery … ask yourself what would be your ideal location for dealing with a medical situation? Would it be in your current home town? Near family or friends? Or maybe it doesn’t matter? Once you answer those questions, you can research other factors including costs of vehicle licensing, taxes, and if a vehicle inspection is necessary. Most states also require you spend a certain amount of time in their state as a domicile requirement. So will your domicile state be one in which you intend to spend a fair amount of time visiting? Please do your homework, ask questions, and research! Mail service companies can be found in just about any state, but you’ll want to check exactly what services they offer. America’s Mailbox and Escapees specialize in handling mail for full-time RVers, but some UPS Stores offer similar services and all give you an address that is not a P.O. Box. Please, do not consider using a “P.O. Box” address for full-time RVing. P.O. Boxes are not recognized as a legal residential address. Storage facility – Ah, the cost of storing crap personal heirlooms. Do as I say, not as I do! We moved into the RV full-time on a whim and thought we’d only travel full-time for a year or two. Therefore, we have two 10 x 10 storage units back in Colorado full of stuff. We’re now into year five of full-time RVing, and still paying for that crap stuff to be stored … sigh! We all have personal mementos, heirlooms or other things we don’t want to part with, so getting a storage unit makes sense. However, be ready for storage rent fees to be increased each year. If you have children, this would be the time to pass down those family treasures. My recommendation …. purge! If you do find after a year that RVing full-time is not for you, then you’ll have fun redecorating a new sticks and bricks home. I know when I finally do get my stuff out of storage that I’ll end up getting rid of half of it anyway 😣 Al and I are in discussions on how best to eliminate at least one of those storage units, but every time we talk about it, we end up with margarita’s involved and no solution determined 🍹 Ah, to go back in time … learn from my mistake, save money, and purge! Medical expenses and health insurance – sorry folks … I don’t feel qualified to help on this subject. You can try this site for starters. You might also want to check out how this young couple is dealing with a healthcare issue. Membership fees – You’ll find through trial and error which memberships are most cost-effective for your needs. We love our Escapees RV Club membership and this is the one membership we’ve maintained from the beginning of our adventure. It is also important to have some sort of Roadside assistance (AAA, Good Sam, Coachnet). Other memberships you might add to your budget; Amazon Prime, Passport America, Harvest Hosts, Campground memberships, just to name a few. 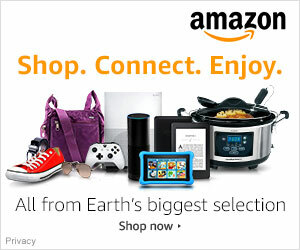 Entertainment – Park passes, museums, concerts, movies, satellite TV, streaming services, etc. Miscellaneous – pets, alcohol, haircuts. Depending on your interests and habits you might have other costs in this category that I haven’t thought about or we don’t use. So now that we’ve reviewed all the costs associated with full-time RV living, what exactly does it cost? As I mentioned before, one size does not fit all, but I can give you some averages. The average cost of full-time RVing seems to range from $2,500 to $4,800 a month. We know some folks who manage to live on less than $2,000 a month while others need well over $6,000 a month. Just like living in a traditional home, it’s all about the way you like to live which will ultimately determine your budget. Hope this post was enlightening and helpful. What Will Your Full-time RV Budget Be? In general, I agree that larger RVs cost more in every way. I think our current camper van is an exception, unfortunately, since it is imported and built with high-quality components. It is older and more expensive than our previous RV, which was a 4X4 F-350 diesel pick-up truck with an 11ft truck camper…. Another good point is that there’s a big difference between using an RV for vacations versus moving into one full-time. We are experiencing that now, trying to personalize our Zesty and planning our energy needs and solutions. I was thinking of you as I was gathering info for those cost averages. Kudos for doing such an amazing job with your budget. We loved our truck camper and if we ever decide to go to Alaska, that’s how I’d want to travel. I have no interest in taking our 5th wheel. Not sure its a trip we’ll ever do considering hubby lived up there during his military days. Thank you for writing this two-part post. I did find it very interesting. Just something I would like to pass on, you can take or leave this advice. We move just about every 5 years for work-related reasons, so decluttering is something I am pretty good at. This last move though, we also had a child moving out and we were moving to a smaller place. I read this book: The Joy of Tidying Up, http://amzn.to/2I6VdYW which was very trendy at the time. I would recommend the book because it gave me a framework to use when approaching a big de-clutter. I didn’t take all her advice, but for me, it was extremely helpful. I can just imagine what a time of upheaval that would have been! Very complete discussion of full-time expenses! It appears we all have similar issues with storage! We have 2 storage units (climate controlled) and both are packed full. Now I’d like to purge and sell many items but I can’t get to the ones I want to sell!!! It will be a big job and I dread it!! Seems we’re in the same boat when it comes to those storage units 😕 Al and I are really struggling trying to find a solution to sell some items. We’ll probably just end up donating. Yes, a job we’re all dreading! An excellent and comprehensive set of posts, Ingrid. So, so useful for anyone considering life on the road. I’d consider linking these two to your home page! Great post , Ingrid you hit the nail on those nitty gritty things to consider and think about. Emergency funds is a requirement, so many unexpected expenses tend to show its rear head when least expected. We are glad our storage is the smallest in the block. I am not even sure now if we still want to keep the stuff that has been languishing in storage. You are so right about unexpected things cropping up, and of course, it’s usually at the most in opt moment. I cringe every time I think about storage. Al and I really need to make it a priority and purge. We just don’t have an easy, inexpensive solution…sigh! We hit the road thinking $2,000-$3,000 per month would be plenty but after 4 years I am not sure we have hit that number but once or twice. My advice for someone starting out. Figure out what you think you will need per month and give yourself a healthy cushion. Great advice and I concur 100%. We’ve run into a lot of folks who underestimated their budget. They were enticed by the blogs glorifying boondocking and work camping. When we first hit the road we thought we would be work camping a lot but we found that we don’t like to stay in one place as long as a lot of those places require. As a result we are seeing a lot more but probably spending a bit more as a result. A great post, and compiled after lots of research, record keeping, and actual experience. I don’t think we have the equivalent of setting up a domicile address in Australia. We have to use a friend or relatives address. When we did our couple of years of interrupted wandering the lack of an address was the most difficult thing. We were of no fixed address! Before we left we sold everything except for 2 small boxes of things such as photos, which we left with my daughter. We’ve never regretted it, as none of that furniture would have suited (or fitted) our current house. It was a hard decision to make to get rid of it. A really good shot at laying out costs that can vary widely due to personal choice. I do think that consideration about where to stay if you have had to return to your mail/legal home & then discover the need to stay to sort out an extended medical complication as we had to do. Your scenario is the perfect example about the health issue, also missing family is a huge consideration. Lots of things to consider before jumping in ‘full-time’. Very informative post, Ingrid. I love to hear other RVers’ perspective on this topic. For those pre-Medicare age and considering becoming full-time RVers, I can’t emphasize enough, as you said, about the important of figuring out about health insurance and where you get medical cares before choosing your state of domicile. They are so intertwined and a complicated mess. Emergency fund for repairs and maintenance of RV and vehicle is also super important and to not to be taken lightly as things that move and stay outdoor do break. Great post again on costs. We thought we domicile in SD but the healthcare situation made that unfeasible. VT and UPS has served us well…for now. When we were selling the house everything I wanted to keep had to fit in a 10×5 area. The stuff ended up in my folks moving van, we found a cheap place ($300/year) to store it, only has mementos and stuff I couldn’t part with. One day I’ll be glad to see it again. Oh, how I would love to narrow that stuff down to a 10×5 space. We’re paying almost $200 a month 😪 for storage. Boy, how dumb is that! Maybe talking about this has finally given me the impetus to do something about it. Thanks Ingrid! Excellent post. This is the best post I’ve read about this subject. We will not ever be full timers but I can relate to so much of what you wrote. When we first started talking about getting an RV my husband researched all the options at the time (12 years ago) and decided a fifth wheel was the way to go. Henry did not want a motorhome because he didn’t want another motor to maintain! I didn’t know how expensive they were to maintain until I read your post. We have always had a truck so when we replaced our old one we got a 2005 Chevy Silvarado 2500 diesel. We added a bigger fuel tank and made some other upgrades to the truck made after a couple of long, cross country trips and the truck is still going strong. I know what you mean about the travel list! You are the second person I have talked to recently that has a fifth wheel or trailer that wants to take a truck camper to Alaska. We made the trip from Georgia in 2013 in our 5’er and never had a problem. There were a few places we would have enjoyed but couldn’t camp there because of our size but we really didn’t mind. When are you going? It was the trip of a lifetime for us but we were both excited about going and loved every minute. It’s not for everyone, though. If it hadn’t been for our Alaska trip I would have never started this blog! Made my first post about five years ago. Excellent information in these posts. I’ll second what you said about the importance of looking at healthcare first when choosing domicile, especially for pre-Medicare age RVers. We, fortunately, chose to domicile in Florida and that has allowed us to have nationwide coverage on the exchange (for the time being). A lot of folks we know have had to switch their domicile or rely on less comprehensive coverage because their home state options are limited. It’s a huge, complicated, exhausting issue, but it’s really important to consider up front. I totally agree. Thank goodness I was able to work out the insurance thing with my son here in AZ. Plus, with family here, if we ever did have a medical situation, we’d want to be in AZ. Therefore, making it the best place for us to domicile. Glad you guys found something that works for you. Let’s hope they don’t change it up, yet again. Healthcare is probably thee most frustrating and concerning aspect to full-time RVing for anyone under 65. Yep, we definitely regret the storage units. I’d be fine if we had one small one. We really need to tend to the matter. But like you, we can’t seem to come up with an answer. One day, huh! Thanks for taking time to pass along what you have learned. There is a family that moved into a home near us. I’ve been helping them to learn beekeeping. Turns out the husband works fulltime as a financial planner. He wants to return the favor and says to come over and talk anytime about the retirement thing. I told him about the three popular states for domicile and he added I might want to look at Arizona as well. Seems reasonable where one might spend a lot of time would be a good domicile state. I can do the research but figure I’ll just ask you. What has been your experience in Arizona for typical domicile issues? Or to keep the question simple; is it worth considering Arizona? Our situation is a little different considering we have two children that live in Phoenix. Therefore, we spend the majority of our time meandering around AZ. Vehicle licensing is based on value and there is State Income tax to consider. If it weren’t for our kids, I think we would’ve gone the TX route. Healthcare and family were the deciding factors for us. AZ does have a stay length requirement before you can call it your domicile. Arizona has been good to us, we bought our diesel truck and 5th wheel used private party therefore we didn’t pay sales tax. We’re in a county that doesn’t require smog checks. Arizona is pretty friendly when it comes to figuring registration fee’s on trailers, but is more expensive for motor homes. In our case it cost $80.00 to transfer the Titles and $125.00 annually for registration on truck and trailer combined. When it comes to domicile issues and which state to choose, vehicle related fee’s are down the list a little bit for us, behind personal property tax, personal income tax. We started off looking at used, but didn’t find the savings significant enough to forego some of the features found on a newer model at that time. The Laredo has indeed served us well, and anytime we go to a RV show and look at different rigs, we haven’t found one that fits our needs any better than the one we bought. Guess we got lucky and found the perfect fit for us on the first try. Fantastic post, Ingrid! I enjoyed both parts and learned alot. I consider you the guru on RVing, and this was so helpful, practical, and informative. I got a little chuckle out of the crossed-out-crap section regarding storage. Warm thanks and smiling wishes for continued happy trails to both you and your husband.